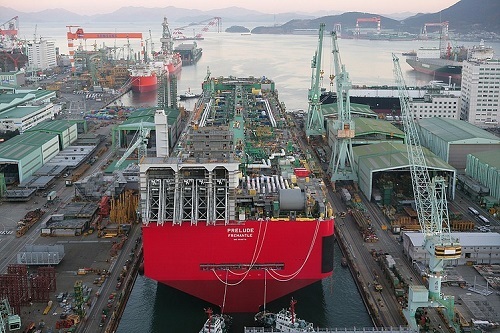 Hyundai Heavy Industries Co. and Samsung Heavy Industries Co. have clinched orders valued at a combined US$1 billion to build very large crude carriers (VLCCs), industry sources said Tuesday. 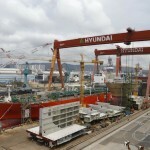 According to the sources, Hyundai Heavy has secured an order to build two VLCCs. 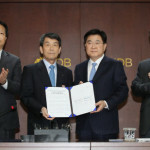 The deal includes an option to build two more vessels with a value estimated at $320 million. Frontline Ltd., the world’s largest oil tanker shipping firm, is said to have placed the order, with the delivery scheduled for July 2019, they noted. 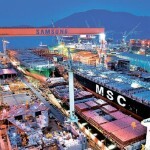 Samsung Heavy has also inked a letter of intent (LOI) with an unidentified Greek shipping firm to build up to eight VLCCs, with the value of the contract estimated at $650 million. Market watchers said demand for VLCCs has been on the rise because of a fall in their building prices. According to the data compiled by Clarkson Research Institute, VLCC newbuilding prices fell to the lowest level in 14 years in March. To capitalize on the low newbuilding prices, shipping firms around the globe are in a rush to order VLCCs to replace their aged ships. 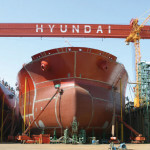 Hyundai Heavy has secured deals to build 9 VLCCs so far this year. 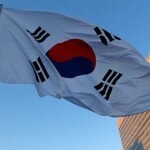 Daewoo Shipbuilding & Marine Engineering Co., another major shipyard here, also secured a deal from a Greek shipping firm to build 3 VLCCs this year, and inked a letter of intent with local shipping firm Hyundai Merchant Marine Co. to build up to 10 VLCCs.